Fine art photography takes people to places they have never been to. Through images of beautiful landscapes and captivating panoramas, we can travel and appreciate the beauty of Mother Nature. 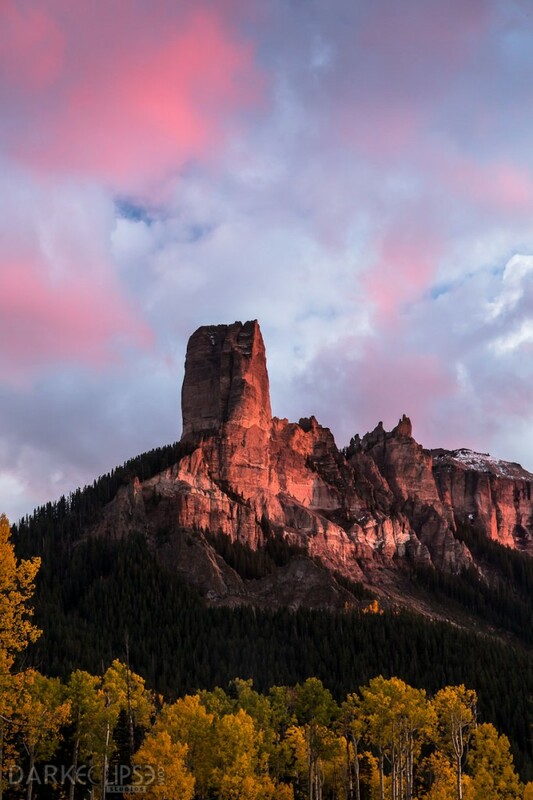 A visit to Colorado is an opportunity to capture very gorgeous and fascinating fine art photos. The autumn foliage in Colorado can definitely create fine art images that feature the right elements for a perfectly composed piece of art. This fine art photograph has several elements which make it stand out from the crowd. 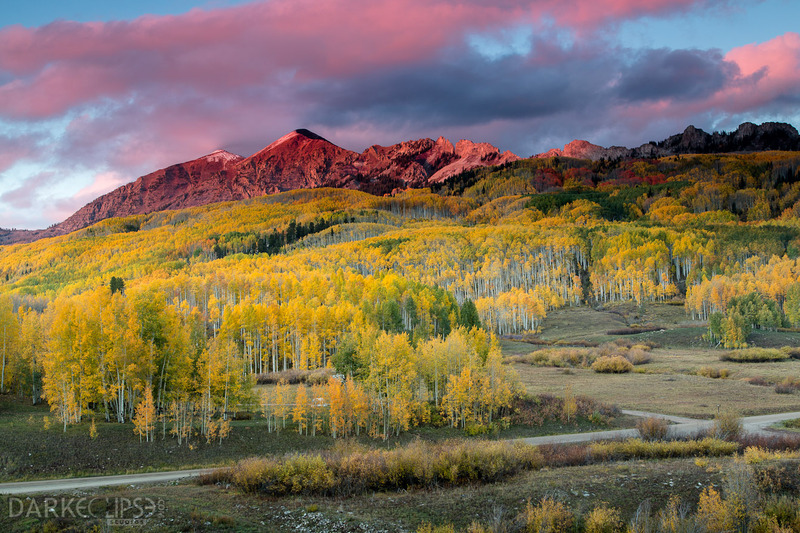 This picture of Colorado autumn boasts of festive colors which are a perfect visual treat. The magenta skyline creates a mood which sends viewers into serious reminiscing and nostalgia. On the other hand, the photo has noticeable balance which allows viewers to see the Ruby Peak towering above several rows of Aspen trees. The shot does not look so heavy on the upper part because enough space for the foreground has been included. The depth of this photograph is brought about by the fluffy clouds and the mountain along with the very tall Aspen trees in a frame. The leading lines draws and redirects the human eye into seeing the beautiful background composed of a gorgeous horizon and a striking mountain. The vertical lines of the Aspen trees seem to usher the viewers into the majestic Ruby Peak. A fine art print of this scenery can actually serve as a perfect design piece for a home or office. It is elegant and definitely artistic. PS. This picture was one of the finalists for People’s Choice Award of NWF 2013 Photo Contest.